Listing courtesy of Cascade Sotheby’s International Realty. Villa de l’or DEFINES LUXURY! Bountiful treasures are offered by this banner estate! Utterly private, yet AMAZING mountain views! Old world formality blended w/all modern conveniences! 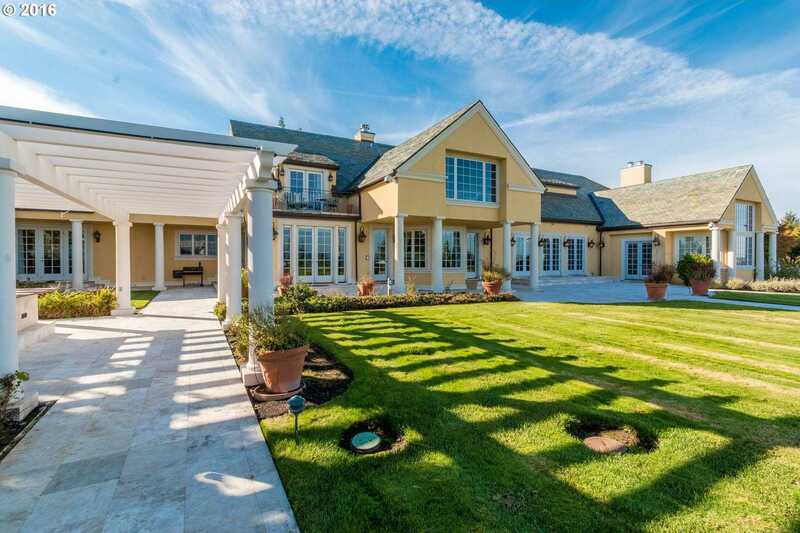 Sprawling main residence, pool salon, & wine vault building- An Entertainer’s Dream! A true oasis, it also has a productive vineyard, soccer field, tennis ct, theater, gym, & MORE! -48.61 ac. 14bd, 13ba & 3.5 baths. A Palatial Paradise min. fr Portland! Please, send me more information on this property: MLS# 16563132 – $15,000,000 – 1707 Sw Schaeffer Rd, West Linn, OR 97068. I would like to schedule a private showing for this property: MLS# 16563132 – $15,000,000 – 1707 Sw Schaeffer Rd, West Linn, OR 97068.